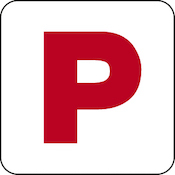 Your Guide to the Q-SAFE: Practical Driving Test produced by the Department of Transport and Main Roads aims to prepare learner drivers for the Q-SAFE Practical Driving Test they must pass to get their provisional licence (Red or Green Ps). Although the Q-SAFE Practical Driving Test is a practical, in-car assessment of your driving - the theory resources available can still assist your preparation. The Guide outlines the criteria you must meet and skills necessary to pass the Q-SAFE Practical Driving Test. It also highlights what you should do to avoid failing. Reading through the Guide (which can be found here) forms the base for an appropriate preparation for the Practical Driving Test. QLD Driving Test has produced a summary of Your Guide to the Q-SAFE: Practical Driving Test to help you prepare for the Practical Driving Test. This can be used as a tool for revision. There are two ways to to read the Your Guide to the Q-SAFE: Practical Driving Test Summary. Choose the most convenient method for your use.